I have a tendency to get obsessed—with a specific dish, a restaurant, a chef, or, more often, a cuisine. A few weeks back, I watched a video of chef Alex Stupak making these incredible looking al pastor and immediately ordered his brand spankin' new Tacos. I started dreaming of tacos. That lead to a dinner at La Tejana, then a lunch at La Tejana, then visiting the taco stand at El Morelia, a trip to Publico, and so on. 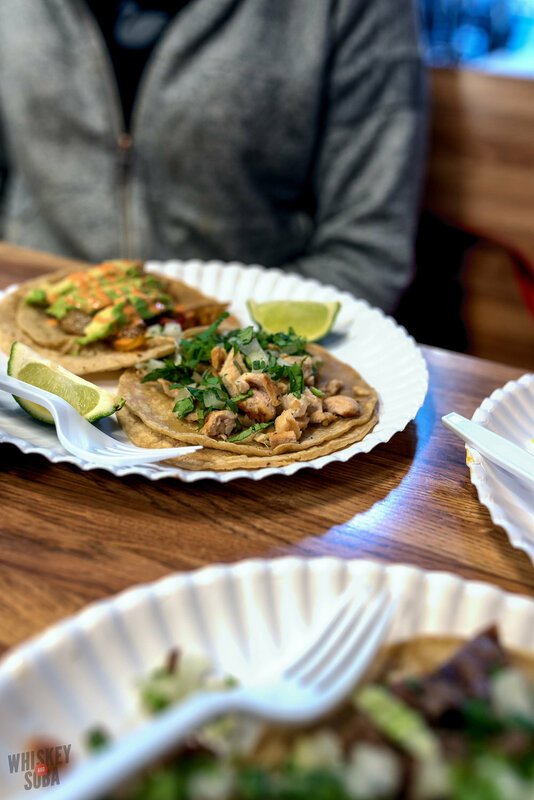 I know some people think that Taqueria Durango, La Vallesana, or Taqueria Bronco are better than Tejana, which is totally fine. They're all legit taco makers and I would happily eat tacos at any of them. I just happen to enjoy Tejana and the staff more than the other places. 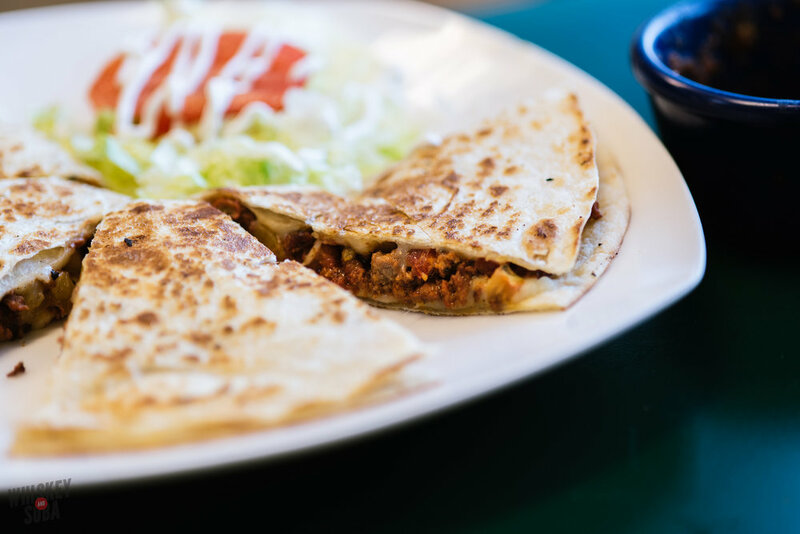 Al pastor quesadillas: This is a no-brainer. Tejana's al pastor is a delicious mix of spicy pork and sweet pineapple. Put that between two tortillas with gooey cheese? Duh. Tacos: You can go healthy and eat a chicken taco and a veggie taco (top photo), or you can go big time and get some meat! I switch it up every time I go, which is easy when they have steak, carnitas, cow head (the only one I don't like), tongue, chorizo, tinga (chorizo/chicken), campechano (steak/chorizo), al pastor, chicken, pork skin, and barbacoa. Make sure to ask for the green salsa too. 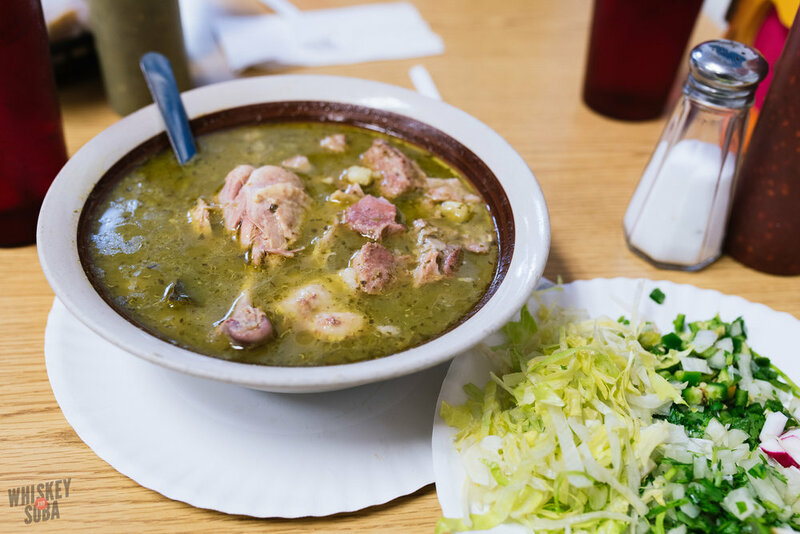 Everything Verde: Tejana has daily specials, but none are as special as the mole verde or the pozole verde. Both dishes rely heavily on the use of tomatillos; as far as which I prefer, I lean towards the pozole verde. It's like my mom's chicken noodle soup if she was Mexican instead of Eastern European. The bites of hominy that have been plumped up with chicken broth (and wonderful chicken fat) and tomatillo are heavenly. Definitely a great choice for a cold winter's day or if you're feeling under the weather.